A collection of gorgeous dresses make for a stylish and versatile wardrobe. 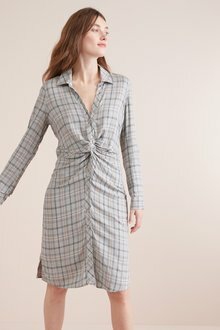 Whatever the occasion, we have a dress to suit the office, a barbecue, or a night out on the town. 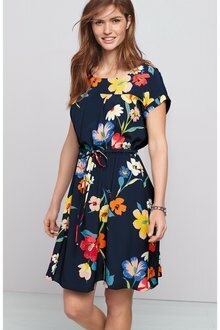 From beautiful florals, elegant knits, summery dresses, and chic workwear to that must-have little black dress, EziBuy's collection of dresses are to die for! Dress to impress with EziBuy's gorgeous collection of dresses. Our range of dresses are fantastic on their own or paired with accessories to suit your style or the occasion. Try a wide brimmed sun hat with a summer dress, or a statement necklace with our excellent party dresses. If you are looking for a wardrobe staple, you can't go wrong with a versatile and chic little black dress. Don't forget the work week! Shop chic work dresses in an extensive collection of styles, from A-line to pencil dresses, and more. 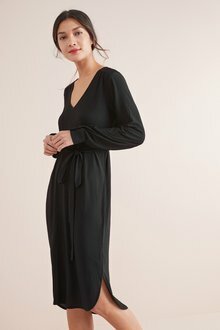 Looking for a dress to wear to a wedding? You're sure to be a knock-out in our formal dresses and evening gowns. Browse our collection of accessories to create the perfect outfit!